Read any automotive publication in the last week, and it’s easy to understand the slow, agonizing death of cars in the U.S. General Motors announced it’d like to discontinue six models—the Cadillac CT6, Cadillac XTS, Chevrolet Impala, Chevrolet Cruze, Chevrolet Volt, and Buick LaCrosse. Aside from the liftback profile of the Volt, all of these vehicles are sedans in the traditional sense. The announcement came several months after Ford detailed similar plans, preparing to discontinue the Focus, Fusion, Taurus, and others by 2020. If you looked at all the stories flying around the internet, you’d think the sedan as we know it today is on its death bed. But it appears the affliction is isolated to American sedans. A closer look at sales numbers shows not all sedans are created equal—at least in the eyes of the consumer. Sales for cars such as the Impala and LaCrosse have plummeted since 2010. 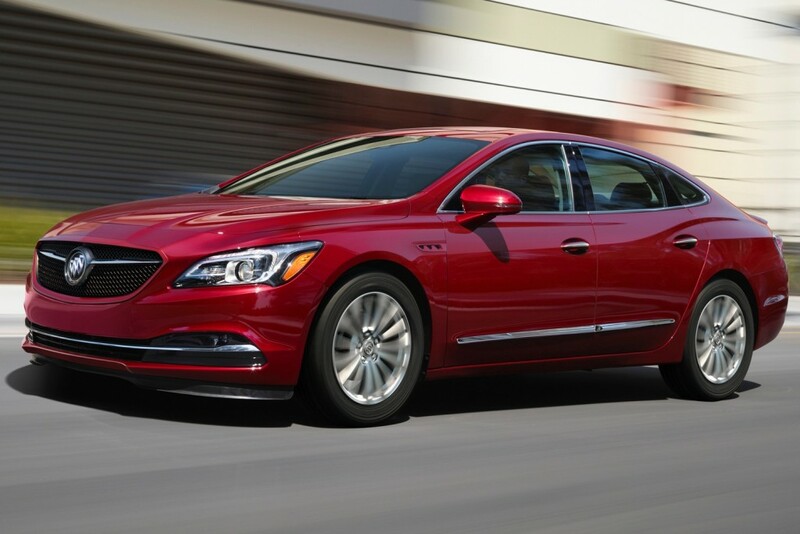 For example, in 2010, Chevy Impala sales totaled 172,078 while Buick LaCrosse sales amounted to 61,178 Last year, they sold 75,877 and 20,161, respectively. Ford cars faced steep declines, too. However, if you look at automakers across the Pacific, car sales haven’t dipped as they have for U.S.-based automakers, as this editorial from Bloomberg explains. Japanese automakers built their reputations on affordable, fuel-efficient, and reliable cars like the Honda Civic and Toyota Corolla. Collectively, Honda and Toyota sold around 1.4 million cars over just four different models last year. The Civic saw one of its best years in 2017, selling 377,000 examples in the U.S. alone. Why then, are American cars suffering? Well, according to the Bloomberg piece, perception. Americans embraced Japanese cars in the early 1970s when the U.S. faced a harsh oil embargo. American automakers tried to respond, ushering out new, compact models that were meant to compete with their Japanese rivals, yet failed to do so due to poor quality, abysmal reliability, and inferior fuel efficiency. That impression hasn’t left the minds of American consumers. Sedans from General Motors and other American automakers have improved tremendously since the 1970s; however, they still often trail Japanese cars in sales, reliability, and resale value. GM and others abandoning cars in the U.S. aren’t about an imploding market—it’s a white flag of defeat. GM can make exceptional cars; however, it’s not enough to sway consumers from the grips of Honda and Toyota. Just like my in-laws who can’t tell a V8 from a rotary engine, many purchasures of Asian cars don’t know anything and feel that American brands are junk. Even though they are looking to replace their Nissan at 100k and my Sunfire at 120k only has cosmetic damage. It needs new seats and that’s about it. I’m a car guy and would buy an Impala is the traverse and equinox wereg more appealing. Chevy needs to take the Ohio plants they are unallocating and create a new car brand like when they introduced Saturn. Create a new super reliable and ultra affordable car. Man, everyone here really has their finger on the pulse of the automotive market, I’m surprised that HR dept from a major automaker hasn’t cruised these forums and offered $250K/yr jobs to some of these posters……. Once again ABSOUTLY NOTHING to add. Only criticism of other peoples OPINION. HOW does the degrading of others help anything. And its not like the AUTOMAKERS who get paid the $250K/yr are doing any better. AL LEAST THERE IN NO ARGUING THIS FACT, BECAUSE ITS REALITY HAPPENING BEFOER OUR EYES. By the way I will be buying a new GM-Cadillac sedan also and I’m sure you will also join me with your purchase. Also if GM would build a QUALITY , and RELIABLE sedan and follow that up with CUSTOMER SERVICE they would not have to kill so many. With ultra thin margins and super high production volume! And then give them away…..no wait………pay people to buy them……..thats the ticket right there. GM’s been doing that for years. The discount of thousands of dollars off the MSRP at the dealer is practically expected by people who only ever buy American vehicles. The buyer ends up eating crow years later when the resale value is far below market price for similar vehicles made by other manufactures. It used to confuse me how a 5 year old Corolla with 150K km could be worth as much as a 2 year old Cobalt with barely 30K km on it. Part of the reason was that the Corolla didn’t need $5,000 discount on the hood to get it off the lot when it was new, whereas the Cobalt needed that money and a winter tire package just to get people to look at it. The damage in perception was created over a period of decades. Even after they turned their vehicles around (Not the perception), it only ever seemed like they were shooting for almost the best car they could create against their benchmark competition…. and they were always benchmarking the existing car. So, as soon as the next model of that vehicle debuted, the GM car fell toward the bottom in rankings. Whether or not it was justified. I’ve owned GM Cars for almost 20 years (my Parents for 20 prior to that)….but mostly because I could get a really nice car for the price of the competition’s ordinary car. If I had to pay the same price for a Malibu as an equally equipped Accord, I might do it because I’ve had good experiences with GM. But then the Accord really does have a nicer interior in my opinion and I can get a manual transmission as well as some other nice options (At the same time! on the same vehicle!). So I really would be torn. The truth is the Asian brands are also feeling the pain. While they may have farther to fall they are in decline. Toyota sales were up in October with clearance prices on the Corolla and they were followed with a decline of .06 in November with declines in Prius and Camry sales decreases as CUV models increased significantly. Honda dropped 9.5 doubling their pace. The decline was directly tied to the decline in Civic sales as they too saw increases in CUV models. The market as a whole was down 2 percent since 2016. Also these declines came in Nov when previous years models are often on high rebate sales. A fall like this is said to be a first since 2009 per Reuters. This is not an GM issue. This is not an American brand issue. This is a issue on Sedans in North America and other parts of the world are also changing with us. I love it how GM and other American companies say ” It’s perception” When the average sedan owner knows better. It’s QUALITY, RELIABILITY, and CUSTOMER SERVICE. The non USA companies simply CARE about what is IMPORTANT. If tariffs weren’t preventing non USA companies from selling trucks in the USA American companies would be losing there also, and slowly are. FCA, Toyota, and others have been slowly picking away at the truck market also. Our USA automakers and there partners have been doing there best to pass legislation and regulation to prevent a true level playing field for years. If it were a true level playing field today I doubt GM or even FORD could keep up in the truck market. This is what’s great about the world as a whole, it is constantly changing, and we ALWAYS know who the winners are it just takes time. Use CUSTOMER SERVICE to FIX and MAINTAIN your QUALITY vehicle increasing its RELIABILITY to “X” life. Reality is the Nissan Titan is the least reliable truck in it’s class, and the tundra is the lowest performer, and Chevy has the lowest repair cost, even compared to Toyota. I agree with you on quality, but I dissagree where he quality is when I know relatives who baby third Nissans and Honda’s and experience more problems than me and my sister who are GM fans with old beaters. GM has been making reliable cars for less than the Asian brands for a couple decades. So lets just say that your reality on the Nissan is true. OK maybe. Just a small bit of history GM has been making USA style trucks for OVER 100 YEARS. Toyota could be the lowest performer, but are you sure, remember I am talking the AVERAGE MAJORITY, not the highest model, what is on the road. And the same goes for repair costs, are you sure, per truck sold, and per mile on truck, over the “X” life on average. Also what is an “old beater” in your eyes. I know NOTHING about Nissan other than they are the LARGEST automaker in the WORLD. However Honda, Toyota, RAM, Ford, and Audi I can speak to. I to have relatives, several families over 10 children in todays world, and I can tell you what the drive and my brother and I are the only GM guys left. And it is no longer possible for us to even enter most conversations on mileage per repair cost, and for sure on CUSTOMER SERVICE. Toyota and AUDI seem to be just OUTSTANDING, NO COMPAIRSON. I don’t own them YET, however in the GM new truck and Cadillac world of today I’m closer every day. After 38 GM years, I must just be a slow learner. There are no tariffs on the Toyota tundra and Nissan Titan. They’re built in San Antonio Texas and Canton Mississippi. It’s just their products cannot compete with GM Ford and Ram. Don’t argue with that guy, he is fundamentally stupid and angry……..2 bad combos. Ha HA Ha Ha, MrR you are HILARIOUS, but once again all you do is degrade others and add NOTHING . And there is no arguing Gearhead 1 is correct on the tariffs as long as its made in the USA. At the current pace you wait until Toyota and Nissan have been in the USA 100+ years and we will talk. How old are you? Where do you live? Because if 95% of the 20 year old cars you see on the road are American you must live in small town Midwest and see 10, 1970s American cars. In the LARGER USA, 95% of 1980 or newer are NOT American. Maybe you should travel more. 2 against 1 in this case bub, I see the same thing with 95% of the older cars being American, primarily GM products. You can find lots of Asian brands in scrap yards for spair parts. No 2 against 2, Rick C started this lower down. Keep up. Yes the main problem with american cars is perception and quality is still not totally up th accord and camry. most american rightly so find it a safe to buy japanese. My last car was a 2012 malibu nice car but everyone always asked ,why did you buy that car!..Now with the end of the Impala, most owners love it!They sold 75000+ in 2017 down alot but this year they have only sold over 35000 colorado pickups so then maybe it should be canceled too.hate to see impala go. Not sure where your facts are coming from but they have sold 130k Colorados this year by the end of Q3 alone and are on target to sell approx 25-30 thousand more than last year. Not to mention if you add in Canyon sales. The mid-size truck segment sales have continued to grow year over year sinces its realise with the exception of maybe 1 year where sales were flat from the year before. Check your facts before you start spewing out nonsense. I Agree though I hate to see the impala go! As consumers continue to move away from cars, Japan auto makers continue to add more content and features as standard equipment, making for a great value for new car buyers. However, profits for Japan brands are weaker as a result. This still boils down to a continuing shift toward more crossovers, SUVs and pickups, no matter what the Japanese do to hold onto this business. For GM, they can’t run assembly plants at 30% capacity and generate profit from those operations. It’s still possible that one or two of these cancelled sedans can continue at another car based assembly plant, like Lansing River. GM continues to add new crossovers, which are all selling very well, exceeding GM’s expectations. of driving a CAR, which is usually faster and corners better. There has always been a far bigger demand for cars that go places and haul stuff than for cars that are faster and corner better. Again, I’m not blaming the media, but have you noticed most media have given Mazda a pass on the new Mazda 3 having a torsion beam rear suspension? I remember many journalists ripped the latest gen Cruze for the torsion beam and for being too “boring” to drive. The over cheap looking Cruze interior on volume models with no cruise (cruze? )control was an epic fail as well. I personally owned a 2012 Chevrolet Cruze Eco (manual) and loved it for what it was(great highway commuter car). There were issues with smelling coolant in the vehicle at times, and the resale value was horrendous. Ultimately people are not stupid and they buy what is the smart choice long term, not necessarily the best car on initial impressions/stats etc. Buying a Toyota may be a bit more, but you save long term on depreciation/less repairs. Companies that want to win long term have to play the long game, not the short term profit game. Too many packages and engine choices along with overpriced/rebate selling. Example: A 2019 CT6 Cadillac is about 50-95k. 45k swing in packages and 6 engine options. Really?!?!??! And they wonder why they don’t sell and why their resale is garbage. 6 engine choices! I only know of the 2.0T in base RWD versions, the 3.6 LGX in most other AWD versions and the top 3.0TT engine. The new V8 isn’t yet available. Even with that I count 4 engine choices. So sorry. 5 engine choices. There are 4 now for 17/18’s, you forgot the hybrid. Add the v8 and that’s 5. It amazes me how far out of touch some folks are with the realities of buisness and what is really going on here. If they are this out of touch with how the auto industry operates it is no wonder how we elect so many of the people we do. Also it is a condemnation by the media and web for not accurately covering or explaining what is going on. The reality is fake new is real and it is getting worse every day. The truth is if the folks running GM back in the 70’s and 80’s had made tough calls like this GM would not have needed the bail out. Those folks just kept kicking the can down the road and worried more of their short term legacy than GM’s and their own long term legacy. Generally company leaders are not hateful people and are very caring. I have had the privilege to know some CEO’s personally and often their kind heart is their undoing. When it comes to changes it is better to be out front on them once you have no other option to explore. There is a lot more to come on this story and in the future this play on GM will look much different in a positive and fical way as other automakers face even harsher changes due to little cost cutting to this point and lack of investment in the future. We are at a radical change point in the auto industry. Changes must come due to consumer preferences, regulations and high cost of doing buisness. The challange is to make the vehicles people want and bring them to market as quick as you can to take advantage of the ever changing buyer. Then price it to where people still can afford it. Finally they have to deal with the many regulations not just with a California but globally that are different and and run up cost ever more. Add to this the increase of labor cost while it is getting harder to get workers that show up everyday, on time and not stoned. These are problems faced by many industries and business today as our work force has become so lax in work ethic. Don’t get me wrong there are many good workers but generally they are already locked in to other jobs. GM is also faced with older plants that are larger than needed in some cases. Lordstown had a very good workforce but they had a plant that was just way under capacity with nothing else to add to the line. In the past they were too busy on 3 shifts to add the Verano but once sales dropped the Verano already died due to limited sales. Some will continue to deny it but the small sedan is dying. People do not like the limiting nature of the as years ago larger sedans could be the family hauler and even a work truck. How many here have seen an old Caprice loaded down with ladders and paint. Or plywood on the roof. Today you put 3/4 plywood on the roof of a Malibu you would nearly total it. This started with FWD as people moved to trucks. These did all they asked. Minivans came and did the same for moving people and cargo, today we hav the CUV in many sizes that make them affordable to more and give MPG on par with most cars. My wife is one. She went CUV and want nothing to do with cars anymore. We will still have expensive sedans and sport sedans as the higher price can support lower volumes. But for the average buyer they may only have 1 or 2 cars and need a do it all vehicle and right now the CUV fits that in North America. I would recomend that many to watch and learn to what is really in play. I wish GM Would better explain but too much of this is still mixed with new coming products they can not speak of and labor talks they need leverage in. That couldn’t be more true, also many of those plants might come back online out of design. A smart CEO would announce amrmedegeon and the shutting down of 5 plants and then talk with the unions and “conceed” to keeping 3 open and only shutting down 2. The plan was to originally shut down 2. Only time will tell, but we will see. Go ahead people and buy a Kia. One day your vehicle might catch on fire without you knowing it. Go ahead people and buy a Honda. When your CVT transmission malfunctions in 20,000 miles or so, you’ll be crying like a baby. Go ahead people and buy a Subaru. In 2017 Subaru offered extended warranties on 1.5 million CVT automatic transmissions. Supposedly Hyundai vehicles have been recalled about 170 times. Volkswagen is notorious for falling apart. Volvo is made in China. Only Toyota has a truly great product. Out all the models coming to an end, the Cruze is the one that disappoints me the most. It hurts that Ford and GM ceded the C-segment market to the Japanese and Koreans. I agree with previous posters that the 2nd-gen model is overpriced and there was a swing back to having to buy an option package to get one specific option. Then the de-contenting began, ugh. As for the others models being cut, the Volt’s the wrong form factor now and the market simply moved away from the Impala/LaCrosse/XTS. I don’t know much about the CT6. As a Verano owner, I disagree with Scott3’s assertion about what caused Buick pulled its plug. Other than adding the Turbo package in 2013, very little changed with the car through 2017 outside of the usual color palette shuffle. Without a mid-cycle enhancement and virtually no advertising of its own (it was featured occasionally in “full family” ads), it’s little wonder it didn’t sell well and the second-generation is a China-only model. Being saddled with “it’s just a Cruze rebadge” label and that the Verano was never meant to be a fuel miser probably played small roles, too. Advertising, or lack of it, is a recurring GM theme this decade. Since most American adults are not vehicle enthusiasts and are not curious enough to seek out vehicle data, advertising is a vital avenue to lure customers. I remember when the seventh-generation Malibu came out, it was advertised seemingly everywhere; even on a bank ATM. Contrast that with the previous generation Buick Regal, which only had one TV ad air in my area – the wife took the “scenic route” after grocery shopping and when hubby comes in the kitchen to open a pop bottle, it sprays him. Today’s dearth of GM ads are a far cry from the era of “Baseball, Hot Dogs, Apple Pie and Chevrolet!”, “Chevy Chevette; it’ll drive you happy!” the ’84 Corvette’s laser ad and many others. Scott3 touched on a facet I haven’t seen addressed anywhere else online since these factory unallocations were announced. Lordstown opened in 1966 and it was revamped in 2010 to build the first-gen Cruze. Is it capable of building anything other sedans or coupes? Lordstown was pitched as one reason the current Cruze hatch wasn’t made alongside the sedan. If Lordstown’s not a flexible facility, then I comprehend why GM would like to close it. As for small sedans not selling here; I disagree. Even though they may temporarily be down in sales, Honda wouldn’t have created a new Civic or Toyota a new Corolla for the US if the small sedan market here was on the verge of collapse. Not everyone driver wants a CUV/SUV, whether they prize a sedan for its lower center of gravity or because it catches less wind on the interstate thanks to its smaller frontal area. Another issue is that for many non-enthusiasts, driving is a chore. Many years ago, I reconciled myself to the fact that most people will never find the same joy in driving as I do. I’ve long thought that people where I live have been driving like they’ve had self-driving cars since 1983. Today’s gadgets and other technological feats only reinforce distractions that try to make driving less like vacuuming, cutting the grass or taking out the trash. The sales numbers disagree and the Encore sells much better than the Versno. The Verano was a nice car just nothing that most buyers were looking for. Before the rebates it was expensive and small. Even the Lacrosse is a fine car but yet it rots on lots because it is out of tune with the market. The smaller cars got the less able they are for everyday life. People put utility first over Struve. We learned that with the mini van that many claimed was a fad or passing thing. Today it was repulsed with the CUV that appeals to more. GM could have built the best car in class bar none and spent half of their marketing budget on the Cruze or Verano and seen the same results. Like em or not the CUzv is with us for the long term and there is nothing we car lovers or any auto maker can do to change this back. I know how well the Encore sells. The Verano is a great sedan that was overlooked by many people because they went badge shopping versus car shopping. The CUV may be with you for the long haul but never for me. There are always other options. Ahhh……what we need is a good ol’ fashioned TV ad, why didn’t anyone think of that before…..we can run it on Thursday nights during Cosby!! Nevermind that most people are doing whatever possible to avoid ads everywhere. In your case, the ads would only be shown during the Male Pregnancy Cosby episode. Why are people buying cuv instead of cars? Are people to cheap to buy a car (for car things) and a truck (for truck things)? Or are people just not interested in drive better handling, braking, and faster cars? I remember back in the 80’s and 90’s when the roads were filled with then new Escorts, Tempos, Tauruses and their Mercury counterparts, Cavaliers, Celebrities and their GM counterparts and the infamous Chrysler K-Cars. Now the only cars you see from that era are Hondas Toyotas and Nissan, many are still used as daily driving, family cars. Pretty much proves the reliability of those vehicles. While I appreciate your scientific anecdotal evidence, let me reply with my own scientific stories, when I see a 20 plus year old car on the road, 95% of the time its American and out of those cars, I’d say 75% of the 20 plus year old cars I see on the road are GM. Glad we could share some stories. Toyota vehicles on the road today have an AVERAGE mileage on them of MORE THAN 200,000. Honda is next with STILL over 200,000 miles AVERAGE. The only reason American brands are in the top 5 is do to TRUCK reliability NOT sedans. But American trucks are working on that . But only due to American pick-ups dominating the market due to the 25% chicken tax. Remove that tariff and that market would be gone too. Trump is putting a final nail in the coffin of the American auto industry. Anti-American sentiment is spreading around the world (even in Canada) with corresponding sales in a freefall. And this is just the beginning. To add insult to injury, the steel and aluminium tariff are stealing over 1B in profits from each brand. 20 atomic bombs couldn’t do more damage to the US. Nice, you took the regular moronic BS of the typical poster here and then mixed it with some Trump derangement BS, nice mix, it breaks up the usually hate fest with something a little different. Don’t worry folks, Trump will wave his magic wand and all American industry will be restored to its previous glory and more. MAGA, MAGA, MAGA!!!!!! The Asian sedans e.g. Camry/Corolla always had rather bland styling, but have gone to over the top radical styling in a last ditch effort to save the species. If the CUV/SUV trend continues watch them disappear too. I’ve always been a sedan guy, currently XTS and Impala, and lament the trend. ail I know is all my 13 GM OLDSMOBILE’s traveled over 150k and I sold them all still running perfect and looking great .